We should oppose the ongoing, disastrous US intervention in Syria without reservation. The April 13 American, British, and French attack on Syria was just the latest disastrous action taken by Western powers in the country. Western states and anti-government groups accuse the Syrian government of carrying out a chemical weapons attack in Douma, East Ghouta, a Damascus suburb, on April 8. The World Health Organization (WHO) says that an estimated 500 patients showed “signs and symptoms consistent with exposure to toxic chemicals” and that “70 people sheltering in basements have reportedly died, with 43 of those deaths related to symptoms consistent with exposure to highly toxic chemicals.” The WHO does not say who it believes is to blame for these deaths. The Syrian government and its allies have denied responsibility and US Defense Secretary James Mattis testified that America and its partners “don’t have evidence” of its culpability. Here’s what we do know: The US admits it has between 2,000 and 4,000 American troops in Syria. Between late 2016 and May 2017, the US bombed pro-government forces at least three times. The US’s support for armed groups in Syria has gone far beyond its backing of Kurdish groups as America and its conservative allies in the Middle East have supported groups fighting the Syrian government, including reactionary religious fundamentalists guilty of sectarian violence. The CIA’s effort to oust the Syrian government has been one of the costliest covert-action programs in the agency’s history. Turkey and anti-Assad forces, to whom the US provided significant support, have taken over Afrin, a Kurdish-majority territory in northern Syria, plundering the area and driving out 220,000 civilians. Over the course of the Syrian war, America’s ally Israel has sponsored an armed insurgency against the Syrian government, has bombed Syria nearly a hundred times, and has sought to intensify its control over Syria’s Golan Heights, which Israel has illegally annexed. The US has also supported devastating sanctions and, when a US-led coalition bombed ISIS-occupied parts of Syria, the coalition killed thousands of civilians. As of July 2017, the US had ten military bases in Syria. Earlier this month, America began constructing two more. In June 2017, the US shot down two Iranian-made drones near Al Tanf. An Al-Monitor report says that the Trump administration is seeking $2 billion more in precision-guided weapons for Iraq and Syria, 20 percent more than the Pentagon spent on munitions in all Middle East war zones in 2017. The $2 billion includes a $31.1 million request for Javelin anti-tank missile systems that a retired US Air Force colonel says will “come in very handy” because they can be used against Syrian army tanks. Days before the Al-Monitor story, a US drone destroyed a tank fighting on behalf of the Syrian government. Should the US embark on a larger-scale bombing aimed at the Syrian government over alleged chemical weapons use or any other pretense, the results will be grim for Syrians. Twelve million of the sixteen million Syrians still living in the country are in government-held territories. 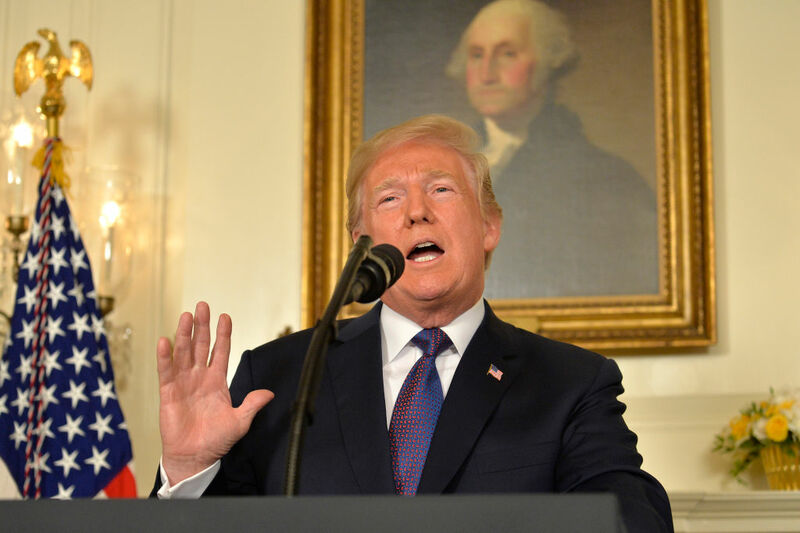 Should the US engage in widespread attacks on the Syrian government, it will therefore be doing so against the parts of the country where the vast majority of its population lives, which effectively guarantees a high civilian casualty rate. America’s war in Afghanistan has killed thousands and its invasion of Iraq killed perhaps one million civilians. A 2011 bombing campaign has also helped devastate Libya. There is no positive role that America and its allies can play through intervention — we must prevent our governments from inflicting more damage abroad and call for immediate US withdrawal from Syria.